Good morning! Let’s start off with some praises! 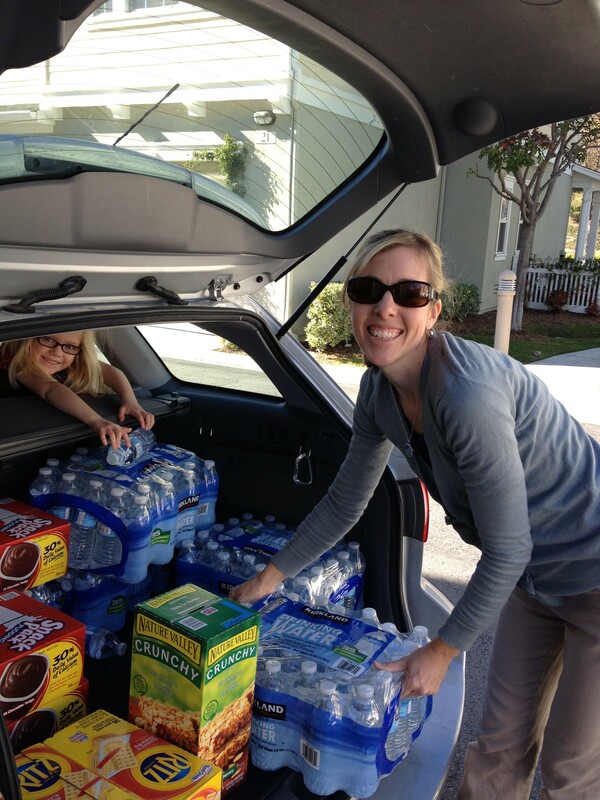 • I received this from Erin (baby Royce’s mommy) today: “Again, a HUGE thank you to you & your team of prayer warriors! Royce’s surgery went very smoothly as did his overnight stay. He has been recovering very well. He did get a little rash on his stomach which the pediatrician diagnosed as contact dermatitis & not believed to be related to surgery. Today I noticed some redness around the surgery site but no fever. I’m waiting for the nurse to get back to me whether this is normal. If I could ask for continued prayers in his recovery! But overall, he’s doing great! Praise the Lord for His faithfulness. He answered every one of our prayers regarding the surgery, right down to the last detail!” What a great praise! Erin also added that Royce has been doing great with being off the anti-seizure medicine. • Another praise is that Deb’s mother-in-law, Anh, is doing much better! We’ve been praying for her as she has been suffering from dizzy spells for months now! Please pray that she would continue to heal fully and be able to reschedule her visit out to California soon. • Meredith sent an update to her prayer requests. She would like us to pray that her self-care would be restored as she continues to feel the weight of spiritual attack, along with the physical attack of Lyme disease on her body. Pray that the Lord would show Himself to her this week specifically in a MIGHTY way! • Thank you for your prayers last week for my daughter, Lucy. We had a good visit with her ophthalmologist and feel good about his care for her. 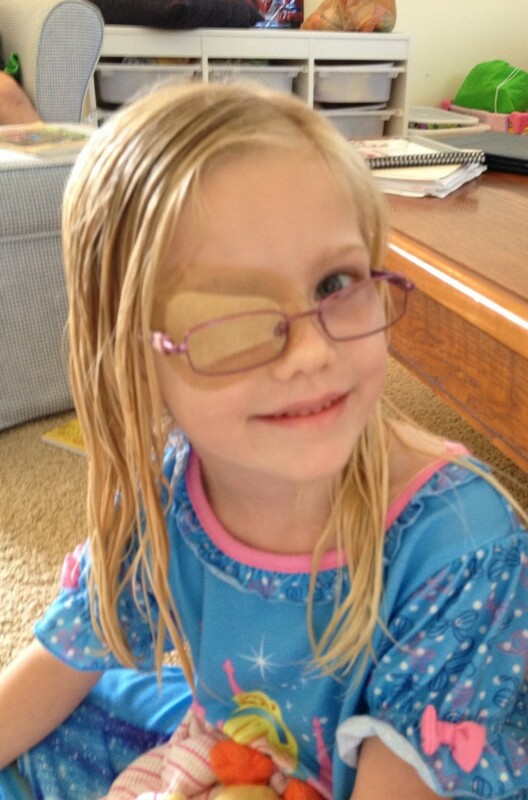 Unfortunately, six months with the glasses has not shown the improvement in her vision that we were hoping for, so patching has begun! Yarrrr! Shiver me timbers! By God’s grace, Lucy has been SUPER compliant with the patches and even, strangely, excited about it! It helps that one of her very close friends (Bridget, who we’ve prayed for here on the website before) also has to patch, so Lucy is familiar with the whole process! Please pray that her willingness would continue as the newness wears off and pray that all the efforts will successfully strengthen her weak eyesight! We will go back to the doctor in two months to evaluate her progress. Today I have some gift ideas to share with you for Mothers Day – it’s not too late to order our Legacy Prayer Journals and Prayer Cards! We all have special women in our life who are mothers that are worth honoring. Perhaps you have a sister or friend who is celebrating her first Mothers’ Day. Share in her excitement by giving her a set of our God’s Word for New Parents cards. I added an inexpensive plant from Trader Joe’s and created a simple banner using paper straws, cardstock, stamps and baker’s twine. My son helped me glue on some matching paper hearts to the pot for extra fun. I was inspired by the banner on the cover of the cards and decided these violets needed a banner too! 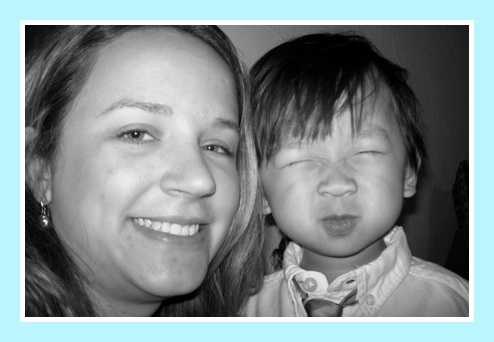 Here was a pic I snapped on my first Mothers’ Day…I didn’t realize until later the silly face Cole was making! Love that squishy face! 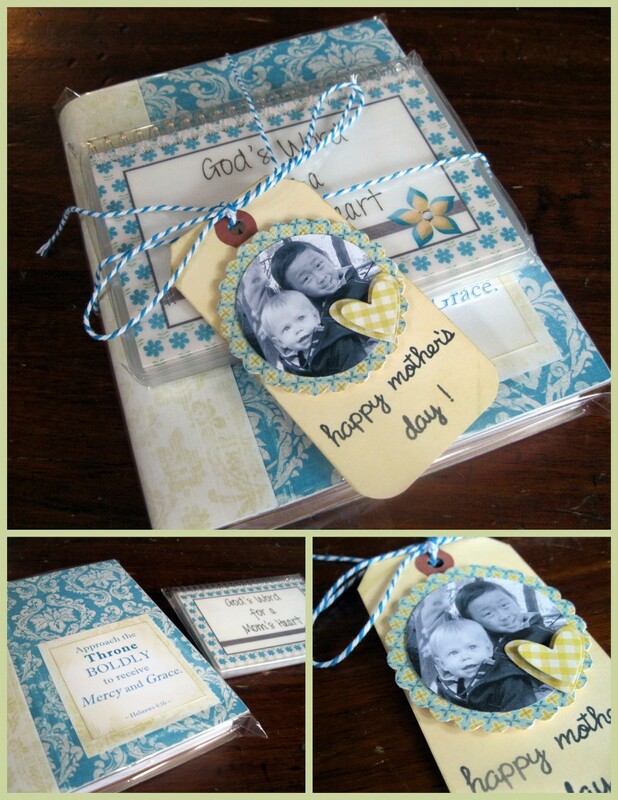 Our Legacy Prayer Journals are handmade and are a wonderful gift any mother would love. I adore the colors of this journal and it goes perfectly with our blue flower set of Gods’ Word for a Mom’s Heart. I went with the blue and yellow color scheme and created a tag to match. I added a photo of my son and nephew to make it extra special (Aren’t they handsome?). Over the years I have experienced the sadness that Mothers’ Day can bring. For years Mothers’ Day was a day I wanted to avoid. I longed to be a mother and the day made me very sad. I am not alone in feeling this way on Mothers’ Day. I have friends who have miscarried, friends who have mourned the loss of a child, friends who have lost the own mothers, friends who long for the child that waits for them in an orphanage…for so many it can be a difficult day (by no means is this list exhaustive). 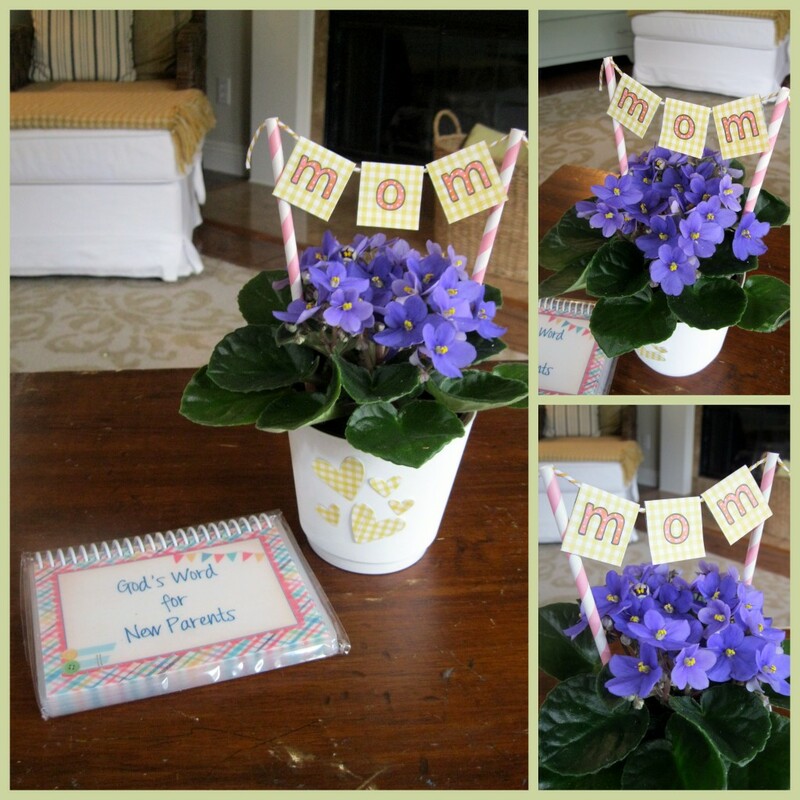 This last gift set idea I created for the woman who needs encouragement on Mothers’ Day. 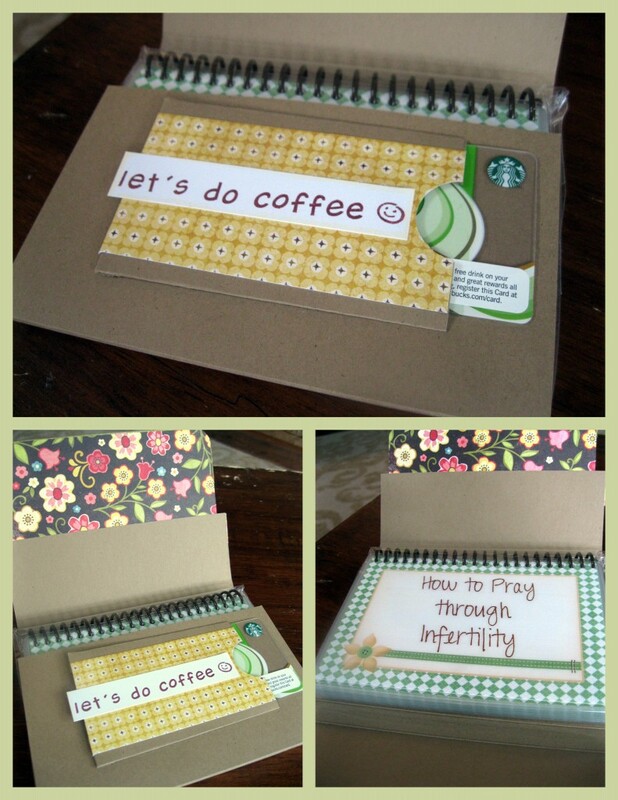 I included our How to Pray through Infertility set that my dear friend Tami wrote out of her journey of infertility. It is an incredible set and I highly recommend it! Seriously. 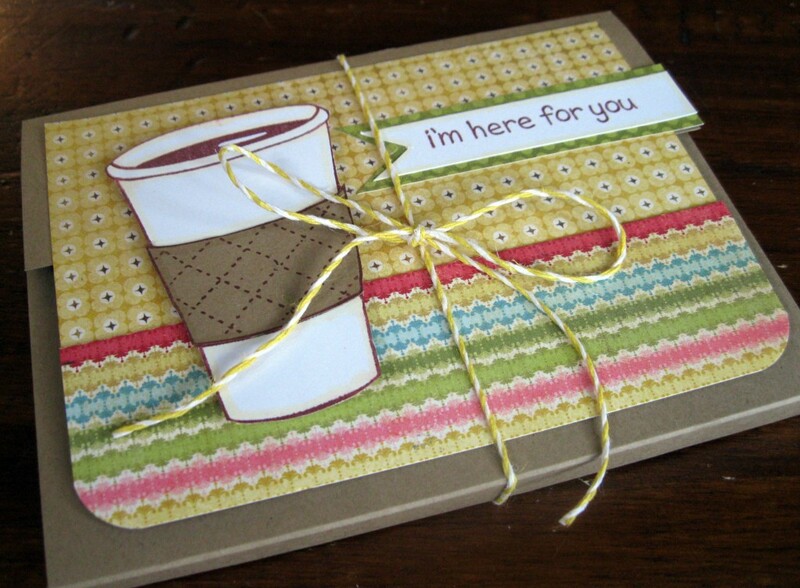 I used cardstock to wrap around the set and made a cover…kind of like I would design the front of a greeting card. Inside I created a spot for a gift card. Knowing a friend is available to talk and recognizes your pain is so encouraging. I challenge you this Mothers’ Day to think of the women in your life you can encourage. Pray and ask God who you can bless. Pray for those who may be hurting. Rejoice with those who have been blessed with the gift of children.